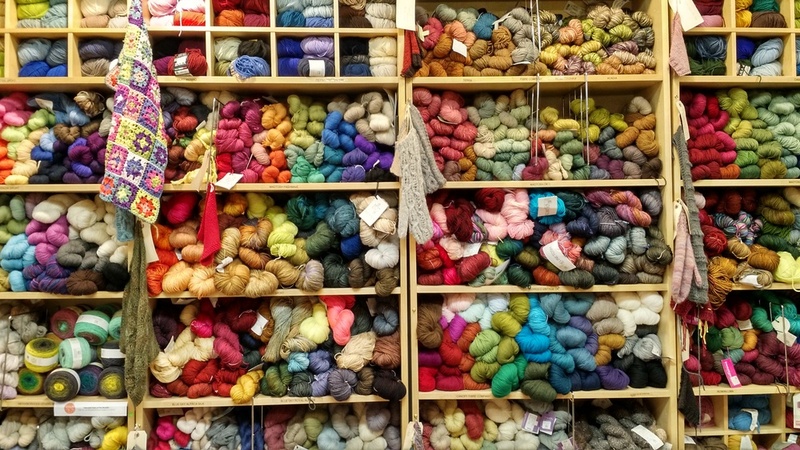 Last weekend was the annual NYC Yarn Crawl and, as usual, it was a lot of fun. It was great to see knitters, crocheters, weavers, and spinners flock to our store. We welcomed all of you with open arms and we hope you had a good time! "Knit a Square, Create a Cuddle Creature," and Madelinetosh Merino in Knitty City colors. You came alone, or with friends and family, and made it a special and happy event. Your smiling faces made our day, and seeing you admire our yarns while pondering new projects is what we love to see. We set up a coloring station so that you could customize your Knitty City bag tote. Many of you were happily coloring away! Don't forget to enter into our Instagram Knitty City coloring contest which runs until October 31st, 2016. The rules are: 1) follow us @knittycity, 2) post a picture of your colored Knitty City tote bag on Instagram, and 3) use hashtags #knittycity and #knittycitycolormyworld. You might win a $50 Knitty City Gift Card! Many of you wore gorgeous knitted or crocheted items and we were completely wowed! We applaud you and thank you for the inspiration! There were even some of you, like young yarn crawler Rose, who bought yarn the day before, and already finished their project the next day. We admire your dedication and passion! Brava! 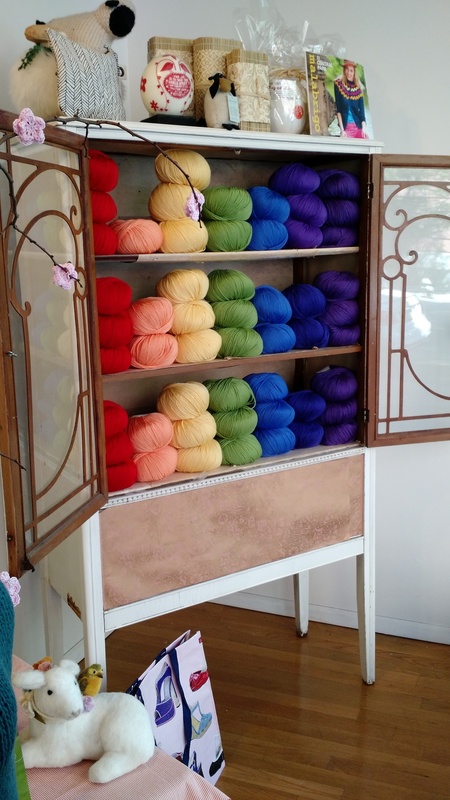 We hope you had a wonderful NYC Yarn Crawl and that you were able to find many beautiful yarns and goodies. We want to thank all of you for making this NYC Yarn Crawl event a special one. Our beautiful community participated with such gusto! We also would like to thank all sponsors and participating yarn stores. And finally a big thank you to the woman who organized this event: Kristen Couchot. 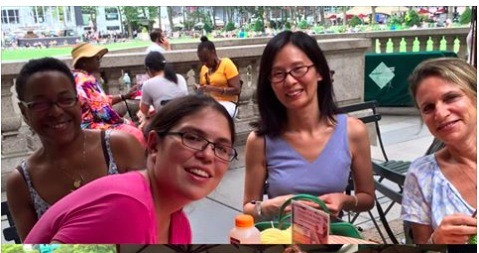 Pearl Chin, owner of Knitty City and Kristen Couchot, NYC Yarn Crawl organizer. We wanted to make this all about you, our beautiful community. We hope you had a fun time and that you will return to our store many times more! Thank you so much from the bottom of our hearts for your magnificent support. It is because of YOU that we thrive!